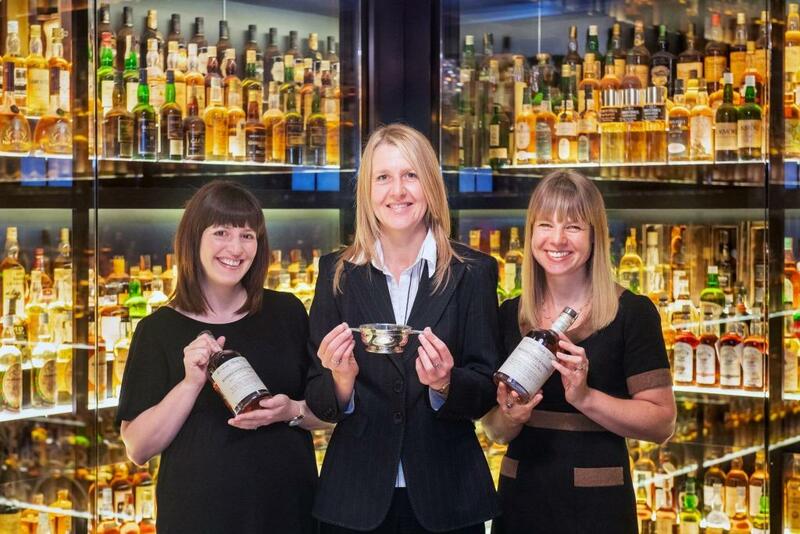 As it celebrates 30 years of operation, Edinburgh’s five star visitor attraction, The Scotch Whisky Experience, is announcing three senior promotions. A triumvirate of whisky women is now running the business as executive directors, with Susan Morrison appointed as CEO alongside two others who now join the board: Julie Trevisan Hunter becomes Marketing Director and Angela Dineen, Operations Director. Each of the three has a long history with the attraction and demonstrates how the business has played a strong role in the industry while embracing equality. Susan Morrison, the new CEO and head of the 90-strong team, has witnessed the 6.8 million whisky fans who have visited since 1988 as she has worked at The Scotch Whisky Experience since it opened its doors 30 years ago. All three joined the business with similar academic backgrounds as modern language graduates. In her 15 years at the business, Angela Dineen has developed many of the staff training and development programmes leading and managing the team; and Julie has played a transformational role in marketing, promotion and business development over 22 years. Susan Morrison, CEO at The Scotch Whisky Experience, said: “I feel very privileged to take on the role of CEO in such an inspiring business. We have all made a strong contribution to the growth of our attraction and hopefully to the whisky industry too, having each been recognised as a Keeper or Master of the Quaich. “The Scotch Whisky Experience team creates a unique experience for our guests, whether they come as a tourist, whisky specialist or corporate visitor. We welcome people from across the world and take pride in making each visitor feel special. The three new board members join others from across the industry: Neil Macdonald of Chivas Brothers; Ken McKinlay of Wm Grant & Sons;; Richard Paterson of Whyte and Mackay; Ken Grier of Edrington; Ian Smith of Diageo; Vice Chair Malcolm Leask of Inver House and Scotch Whisky Experience Chairman, Alastair McIntosh. Since 2009, the Scotch Whisky Experience has undergone £8m worth of upgrades across all departments, which has included incorporating the priceless Diageo Claive Vidiz Scotch Whisky Collection – 3,384 historic bottles of whisky glowing within a marble and glass vault. Ideal for private events, whisky masterclasses, group tours and private dining, The Scotch Whisky Experience is a venue that is both inspiring and flexible. For more information, log-on to www.scotchwhiskyexperience.co.uk or call 0131 220 0441. Use our quick signup to receive our latest news.